Advanced chemical research services for students, scientists, and engineers at Purdue and beyond. Whether probing the outer reaches of the atmosphere or the deepest ocean, our professionals help you discover! Quality scientific results require superior instrumentation. The Department of Chemistry at Purdue has long been a leader in advancing measurement science. 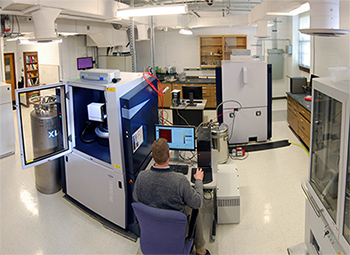 The Chemical Sciences Research Support Facilities provide engineers, scientists, faculty, and graduate students with custom instrument fabrication, an array of measurement methods, and professional consultation services. We are a multidisciplinary resource serving campus departments, Discovery Park, the Purdue Research Park, and commercial users. Visit the links above to identify your scientific needs.